Deer Island Preserve, east of Novato in Marin County, doesn’t really look like an island, at least in the fact that it’s not surrounded by a body of water. The open space more closely resembles a hill covered in dry, golden grass with dots of oak and bay trees. Trails to the top of the preserve offer a view of what once was thousands of acres of wetlands by the San Pablo Bay. The former marsh below, its tributaries and the stream that historically fed it — Novato Creek — is mostly dried up now. But if you look hard you can still see a sliver of the creek. 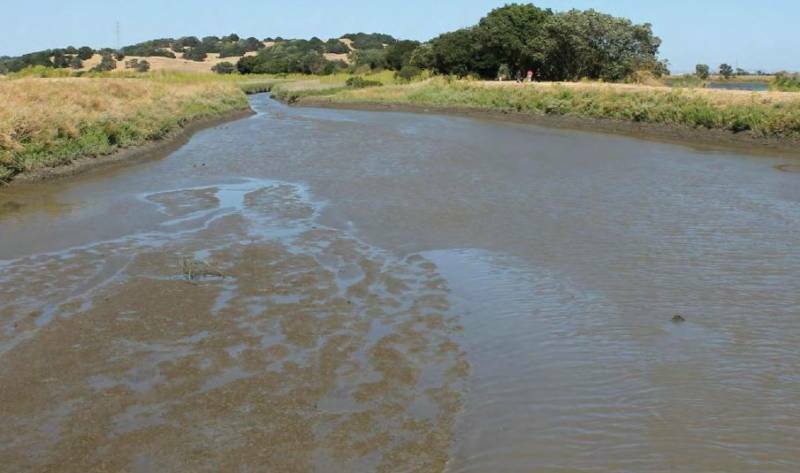 Leventhal says over time the creek has filled with sediment, which would have naturally flowed into the San Pablo Bay if farmers and ranchers hadn't built levees and drained the wetlands over 150 years ago. But since they did, this tidal basin has degraded and subsided. Now it’s subject to flooding for almost half the year, according to a Marin County Flood Control District report. Leventhal says vital infrastructure like the flood-prone Highway 37, the SMART rail line and parts of downtown Novato are at risk. 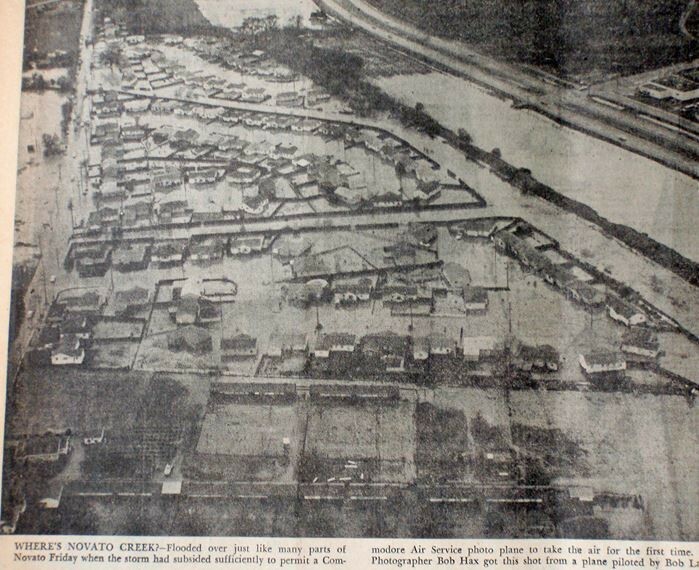 In fact, Novato Creek has flooded the city more than a dozen times since the wetlands were drained. “We are just a big storm or a big tide away from a lot of flooding, especially within city limits,” says Leventhal. Now with a $630,000 grant from Measure AA, the flood control district is coming up with a plan to return this area back to its historic tidal flows. The Deer Island Tidal Basin Restoration Project’s goal is to restore close to 200 acres of the basin by breaking levees along Novato Creek and allowing water to flow back in and out with the tides. Further down the road, the district hopes to restore up to 1,200 acres of wetlands in the Novato watershed. Leventhal says this will increase the entire Bay Area's amount of healthy wetlands, which act as a sponge against sea level rise. “We need to expand the bay in order to spread sea level rise out a little bit because if we wall the bay off, like we're going to have to do in some areas to protect people, we're going to exacerbate the rise in water surface and the impacts to everybody,” says Leventhal. But it'll take some time before this choked wetland can return to its former glory. Leventhal says final plans for the restoration project are expected to be done by the end of 2020.